Owen Murray is a 3rd grader at Chesapeake Elementary. Owen got a new puppy, Luna, a couple months ago. 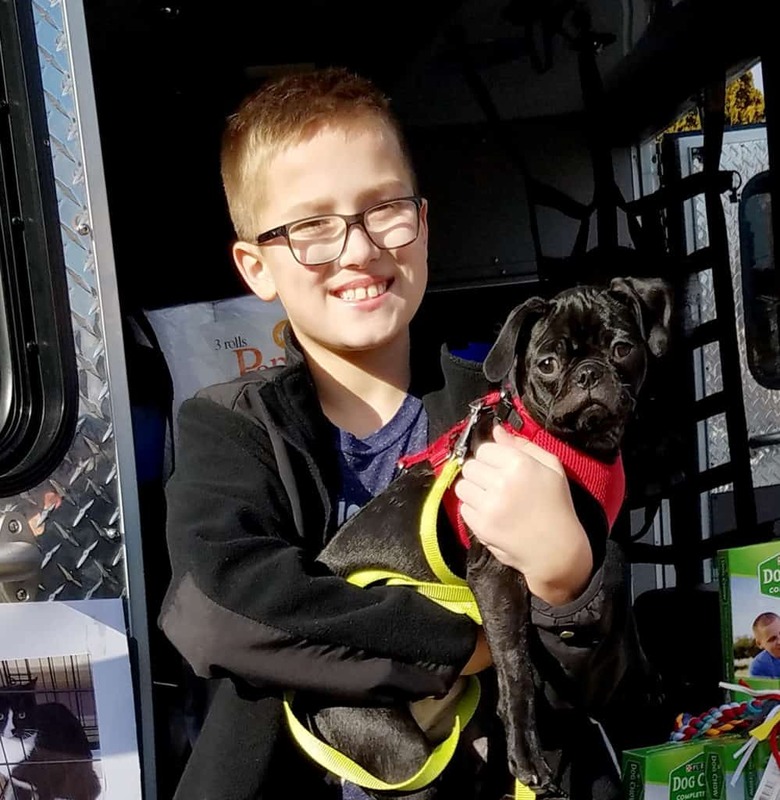 His love for Luna made him want to “help animals without forever homes”. 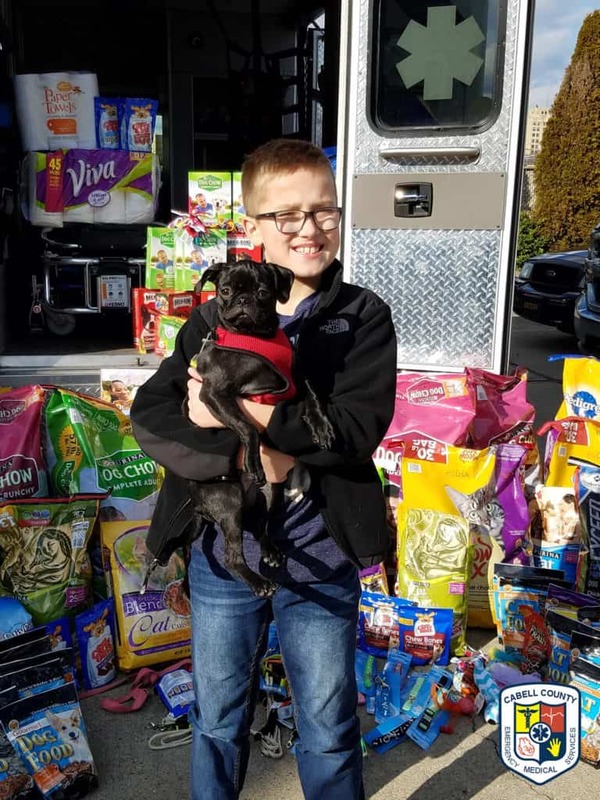 Owen started a Facebook Page, Owen’s Food for Animals Drive, in hopes to get donations for the local animal shelter. 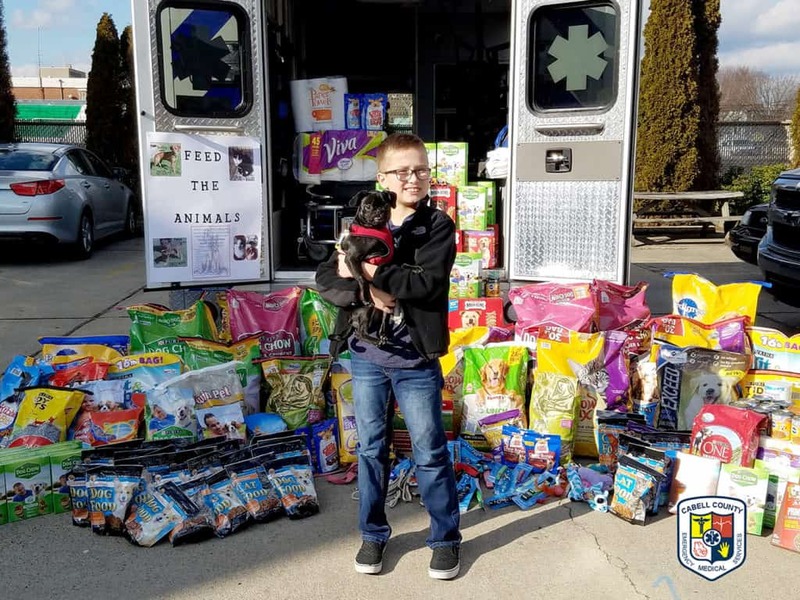 Owen did receive many donations from the community and Cabell County EMS also joined Owen with his donations and started collecting as well. Currently Owen has collected 701 lbs. of dog/cat food, 15 cans of cat food, 59 leashes/collars/toys, 27 rolls of paper towels and 75 lbs. of cat litter. Owen will be donating these items to the Huntington Cabell-Wayne Animal Shelter on Saturday, February 11, 2017.